Stephanie Hancock riding Henry, winners of the Open Training A division. Photo by Cindy Arendt. 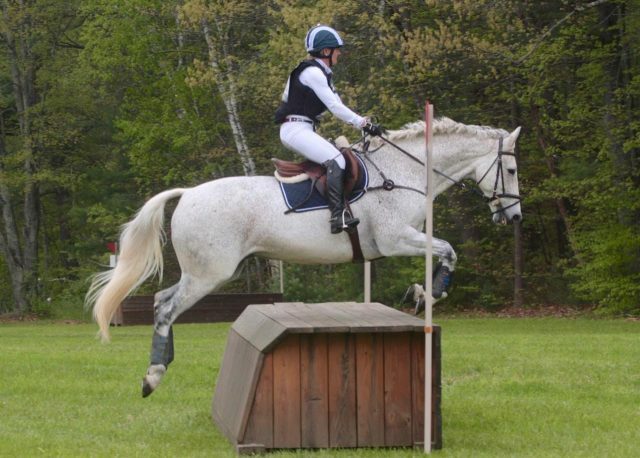 Welcome to the eventing calendar, Grindstone Mountain Farm! 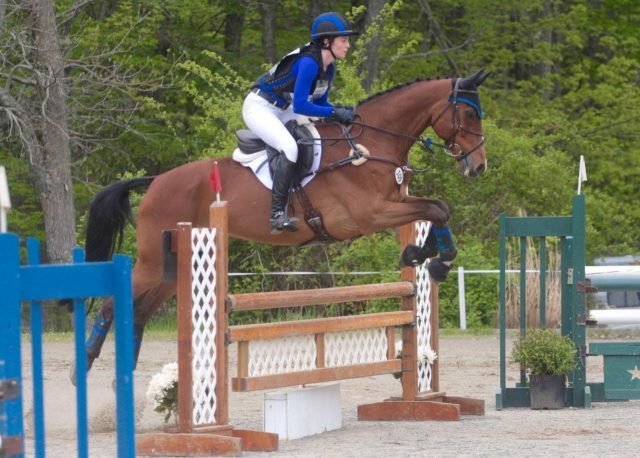 The Southampton, Mass., property itself is a familiar one as a longtime host of horse trials, but its first running of a USEA event under new ownership as Grindstone took place May 13-14. Formerly King Oak Farm, the property changed hands in August of last year when longtime owners Fran and Tom Cross made a permanent move to Ocala, Fla. The sale came as a surprise to many, as Fran, Tom and King Oak have been a fixture of Area I eventing for decades. While a prolonged sale process forced the cancellation of last year’s fall event, area eventers were delighted to hear that new owners Adria Pandolfini and Erik Loiko planned to host the spring horse trials as scheduled and keep the horse trials running into the future. Coming from the hunter/jumper world, the Adria and Erik were in for a crash course in event organizing over the fall and winter. 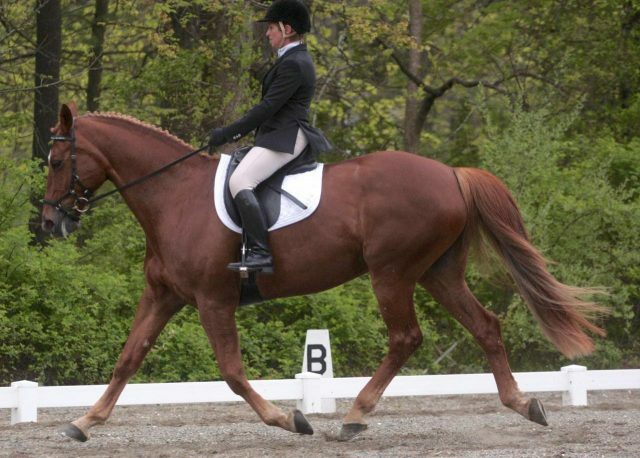 One of the first people who reached out to them after the sale of the farm was Sharyn Antico, event secretary and organizer for Millbrook Horse Trials, whom the Pandolfini and Loiko family had met years ago while managing a jumper show. Sharyn acted as co-organizer for Grindstone Mountain alongside Adria and Erik this spring. Janet Kenton-Walker riding Carmella. Photo by Cindy Arendt. “Sharyn did an amazing job holding our hand while also embracing some of the changes we wanted to make,” Adria says. Adria and Erik were also glad to have the help of course designer Tremaine Cooper and course builder Chris Melanisi. “Chris knows our property better than anyone and was able to use Tremaine’s layout to build what some said were some of the best courses on this property,” Adria says. Diane Thompson riding Boston Jack. Photo by Cindy Arendt. Grindstone Mountain Farm H.T. was one of, if not the first, Area 1 event to utilize the new resource EventingVolunteers.com which allows organizers to easily manage and convey which volunteer positions need coverage for the weekend. Erin Renfroe riding Porter Creek. Photo by Cindy Arendt. One-hundred fifty competitors from Beginner Novice to Prelim left the start box at the newly christened event over its inaugural weekend and despite a less than ideal weather forecast the event went smoothly. 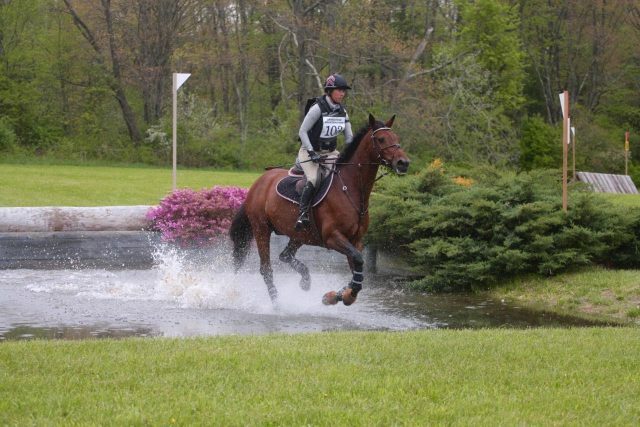 Adria and Erik are happy with how their very first horse trials ran, and Area 1 eventers are equally grateful to continue to gallop across the fields of a most beloved farm. Special thanks to Cindy Arendt, who was on hand to catch the Training A division action, for sharing her photos!